You really enjoy a classic chess game, but chess game vs computer is quite boring for you? Let's try to play free online chess game vs a real player. 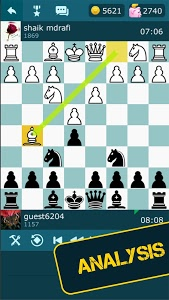 Install Chess Online Battle on your mobile phone, which is the best chess app for mobile devices and provides the chess online multiplayer games. - Download ? our free chess app. 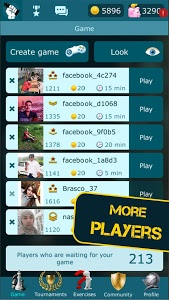 - Choose your opponent or accept the challenge from another player ? You don't need to buy a real chess board to learn how to play chess. Our Chess Online Battle is a free chess app, just install it and play mobile chess at any time and any place. You don't have to be a master chess player to take part in any of chess games provided. There are many players with different levels in our free chess application. 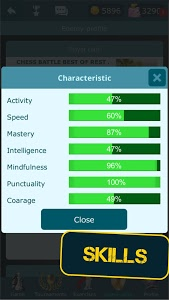 Choose the right person according to your skills and start to play chess free. 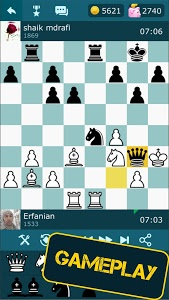 Chess Online Battle app has a good UX and UI design for your convenience. If you are still confused to play with stranger, because you are not a chess pro, you can invite your friend to play online chess game. After completing the registration form you can play free online chess with friends. Play chess with friends free, make a progress, learn and use new chess tactics, reach your goals, compete, get different bonuses for your achievements! It is widely known that chess for kids develops children's ability to analyze, teaches how to think strategically, and also chess learning helps train the memory. You can use Chess Online Battle as a chess play and learn application for your child. Play free online chess is a good way to teach your child how to avoid common chess problems during the game and how to solve most interenting chess puzzles. 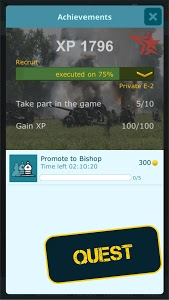 - Thousands of players from all over the globe? - Perform daily quests, get bonuses? Chess Online Battle is a great way to train your brain, enhance your chess tactics and compete with people from all over the world. Similar to "Chess Online Battle"